Springfield Fire Company is with Chris Colburn. 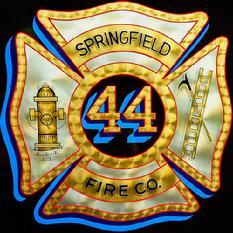 The Officers and Members of the Springfield Fire Company welcome you to our web site. The Springfield Fire Company is responsible for the fire protection and fire prevention of approximately 25,000 citizens in the 6.2 square mile area of Springfield Township, Delaware County, Pennsylvania. The township is comprised of residential neighborhoods, commercial properties, and small industrial facilities all situated in a quiet suburban setting. Operating out of the five-bay, modern fire station at 217 Saxer Avenue, Springfield Fire Company currently utilizes six pieces of apparatus and two chiefs vehicles. You will find this site a very informative and enjoyable place to learn more about the Springfield Fire Company. So grab a comfortable chair and be ready to explore the web site of one of the best firefighting organizations in the nation.